You are getting married and it’s now time to select your ceremony venue and location. How exciting! For a bride, you may have dreamt about this day since you were a little girl. If you are the groom if you haven’t your mom has. No matter what kind of wedding you decide to have, religious, traditional, remote or in your backyard, one thing all will have in common is they contain a ceremony. Likely no two weddings will have the same ceremony, but for the most part, they follow a similar a pattern. The first thing you need to do is pick a venue. Are you getting married in a church? Are you getting married outside? 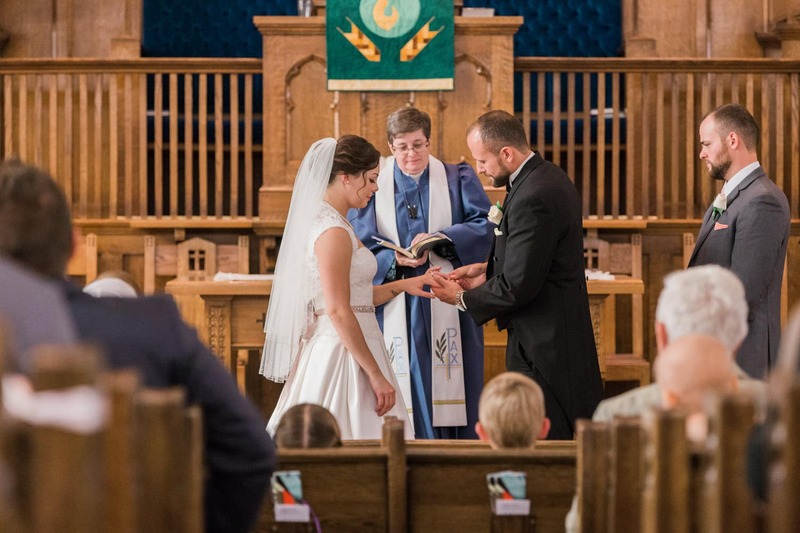 There are many fabulous wedding ceremony locations in Calgary from Fairmont Palliser Hotel, Knox United Church, St Mary’s Church, and the Rouge Restaurant. 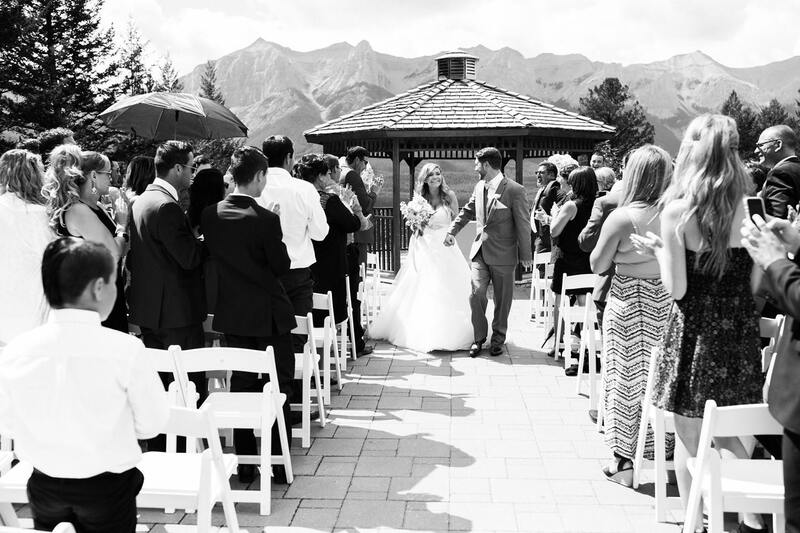 Or if you fancy a mountain wedding how about The Fairmont Banff Springs Hotel on the Terrace, or in Mount Stephen Hall itself!Buffalo Mountain Lodge Meadows is a gorgeous location also. 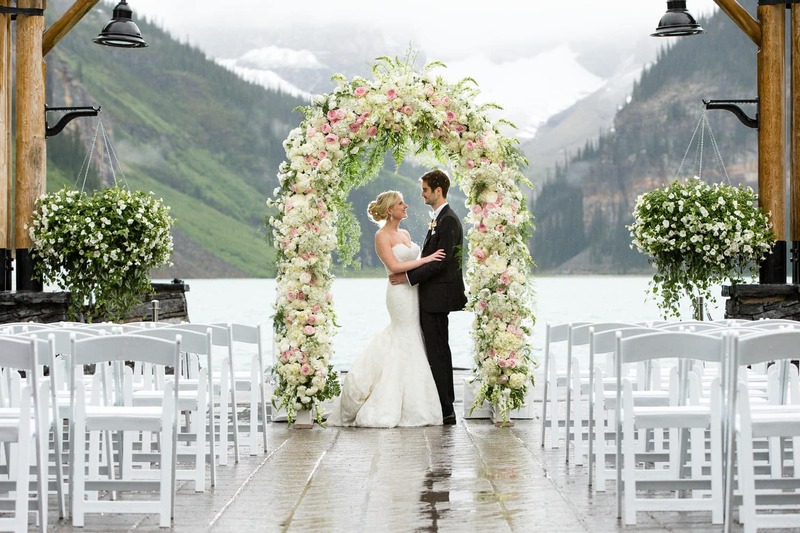 Not forgetting fabulous vendors locations like at the Chateau Lake Louise Terrance or the Victoria Ballroom, or Moraine Lake is known also as The Valley Of The Ten Peaks and the Emerald Lake Lodge just past Lake Louise. Then there’s Golden, B.C. with the Kicking Horse Resort at Eagles Eye. Stunning location. How about The Calgary Meadow Muse in Calgary and and and so many more locations. As you consider where you want to get married, think about how important it is to capture photographs of your ceremony. If it’s in a church, is there fantastic lighting? Is there no natural light? Is it dark? The venue may have substantial gorgeous windows that offer a ton of natural light and produce beautiful photos. Or better yet, you choose a beach or the mountains. How can you go wrong with this backdrop? You can’t but then be prepared for any weather and then roll with it. By this, I mean it may rain. That is okay. With rain, usually comes dynamic clouds or phenomenal clearing skies. So choose. What’s important to you? A beach ceremony, mountain ceremony, golf ceremony, church ceremony, live your dreams. It’s your life; people want to see you happy. When you’re happy, they’re happy, everyone’s happy. Smiles bring on smiles; you know this so rock the show with smiles. 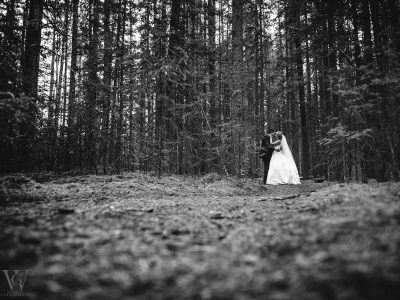 So now you know where you are getting married, its time to choose your officiant. When choosing, make sure you ask about photographs. Does that officiant allow them? You’d be surprised how many don’t. This is a significant and exciting day for you. You want this captured in photographs. From the groom and bride getting ready photos to the reception photos and everything in between. Ask the questions. How liberal are you with ceremony photos? I have photographed all over the Rocky Mountains, Banff, Canmore, Lake Louise and into B.C. and I find most officiants outside of a church wedding allow photos to be taken throughout but make sure who you choose knows what is important to you. Your wedding ceremony is usually filled with those nearest and dearest to you. Usually, your sister or brother or your best friend is standing next to you. You may have many bridesmaids and groomsmen. 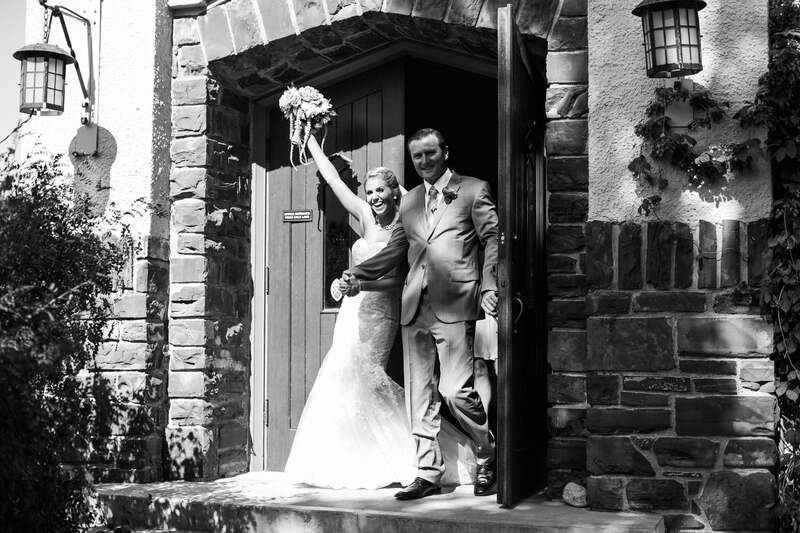 Allow enough time for your photographer to capture photos of you arriving together, getting the last second touches to your suits and gown complete. This is a tense time where even the slightest glance can cause an avalanche of tears and laughter. 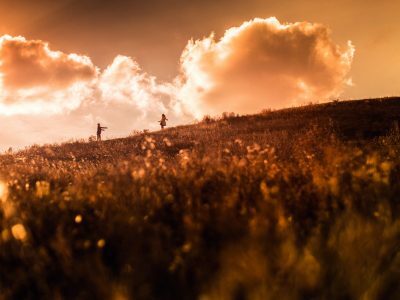 Give your photographer time to capture these moments. Try hard not to be late. WOW, this one is so overlooked by most brides. I say brides are almost always late. And grooms arrive way ahead of the time. Likely they’ve had enough people telling them they have to be there by this time and are scared out of their wits. Lol. It’s the bride who is often late! Seriously, I see it all the time; the wedding dress is late going on because of other reasons; usually, hair and makeup were not given enough time for their job to be done. 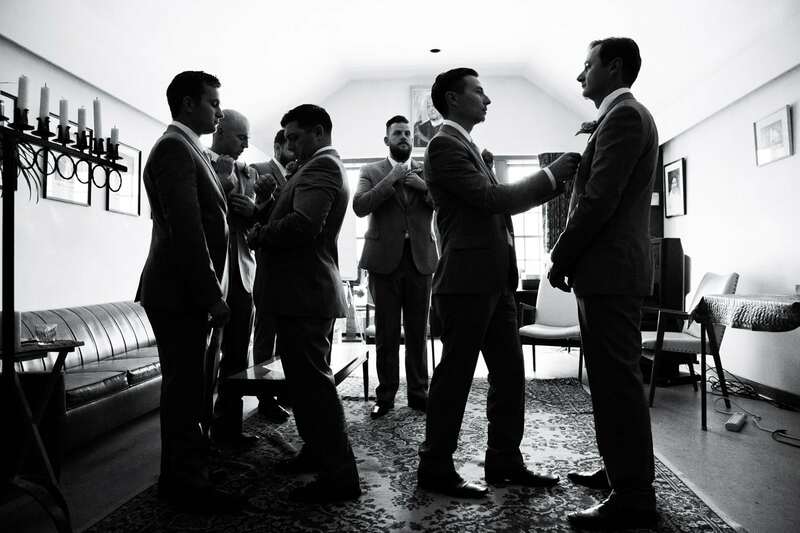 This pushes everything behind schedule and rushes photography and puts on a lot of stress on the bridal party and most often the bride is trying to stay relaxed, but inside she knows it’s not running on time. Why is this? Maybe you should have hired a wedding planner 😃 I see the best wedding planners. 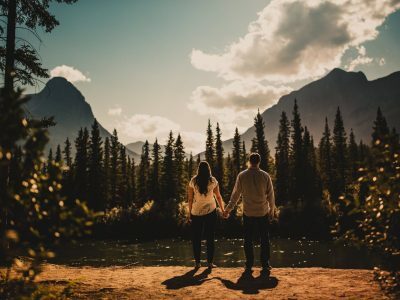 There are many I can suggest but if you are having a mountain wedding, I cannot say enough incredible things about Mountainscape weddings located in Banff, and I strongly recommend that you look into them. But back to the procession. Allow enough time for your photographer to capture photos of your wedding party walking down the aisle, of you, the bride walking down with your Dad or both your parents or close loved one. This is an important date. Get it in a photograph!! And for you the groom, standing up there waiting….then you finally see your bride, and she’s gorgeous, and the tears flow. I want to get a photo of that. This is getting what getting married is. Its all about these three things. Making sure you have an experienced photographer who will know where to be at the right moments is incredibly essential. Make sure you’re able to look back at your wedding album, art box or heirloom artwork where you can view these magical moments in time a million times rather think I wish we commissioned a photographer who knew what he/she was doing! 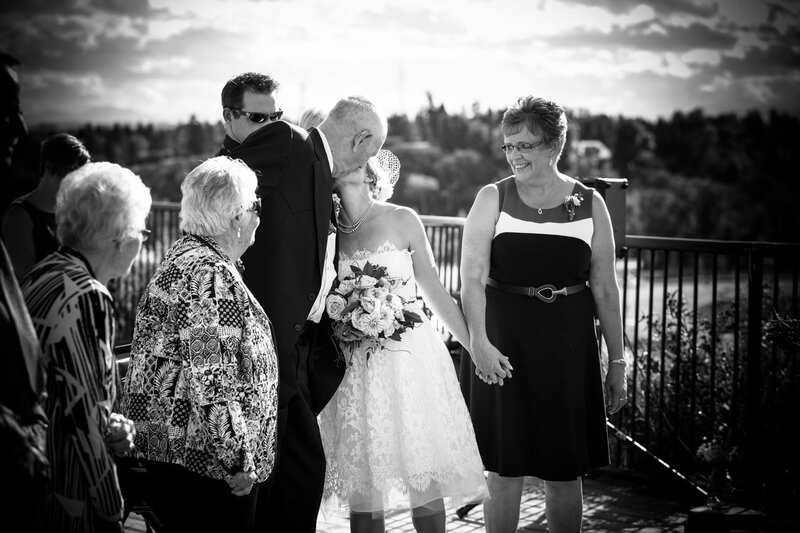 Lastly, once you’ve tied the know, and you’re walking down the aisle, don’t look at the photographer. Nobody has likely told you what to do at this point bar “now walk down the aisle after you get married”. Then what.. oh my… I’m leaving this extra info here for the special peeps who book me as this is incredibly important and fun. Just know one thing, don’t look at your photographer! Embrace the moment and love each other. Okay, now that we’ve reviewed the parts of the wedding ceremony, let’s go over a few essential things. Don’t forget about the decorations. By this, I mean the flowers, of course. Flowers are an excellent and vital part of your day. Are you thinking of having flowers down the aisle or by where you say your vows? If so, can I suggest that you book a skilled flower artist as soon as possible? Flowers by Janie is fantastic and I have only had incredible experiences with her. And yes, I am dropping her name on purpose because she’s one of the best. But, there are many good ones out there. Whatever you decide on make sure you research what you want or hire someone to do it for you. As a wedding photographer, I get to view so many things happen on your wedding day that you just couldn’t even begin to think about it right now. Investing within competent people who know what they’re doing (like a wedding planner) so when things happen all that you’re doing is having fun unknown to things being sorted out in the background. Your guests. I love capturing impromptu photographs of guests at weddings. Weddings are about love and happiness, and I find people are beaming with love and pride. What’s better than smiles and laughter in print? And of your favorite people! From personal experience, I feel you should think about this carefully. Should you invite someone (especially a family member) to your ceremony but not your reception just to keep costs down… Ouch… Think carefully as I’ve seen a family separate on this one. Yep, literally. Why on earth would anyone invite someone to your ceremony but then not to your reception! Okay, you might say, you haven’t enough funds to supply an evening meal for them, but you want them to come to your ceremony. Think of your motives. Is it a gift you’re after, but yet you don’t value them enough to invite them to your reception and party. My thoughts on the matter are this, if its family invite them to both your ceremony and reception. If it’s close friends do the same. If you’re inviting someone to your ceremony then think about it carefully, will it offend them not to be invited to the reception! That’s all I will say on the matter. Just a thought not to be overlooked. It’s you’re day. Make it the happiest one. Videography. Oh MY…. Hilarious one for me to even start with. What is important to you, fabulous photography of cinematography? Can you have both and photographed/shot well. Absolutely YES, that’s a solid big YES but if you go and hire a low-end videographer, you’re gambling. What happens is this. Most videographers setup 3 to 5 cameras on tripods. Sometimes these tripods are enormous and take up a great deal of space. Then they have the camera that they’re using as they walk around. It can be a lot of equipment, and it has the potential to get in a lot of photographs. So, here I am aiming to capture moments in time and you’ve hired a person who I’m trying to dodge so not to get in my photographs. This is hard to do especially as many setup their gear on either side of the head ceremony area. I get that you’re trying to stay on a budget but think big picture than the small picture for your incredible day. This is why I suggest only will only suggest a couple cinematic videographers to you. Well, that is your wedding ceremony in a nutshell. Lots to consider! Whatever you decide, ensure that you get it all in photographs so that you can relive it over and over. Connect with me today if you have any questions.